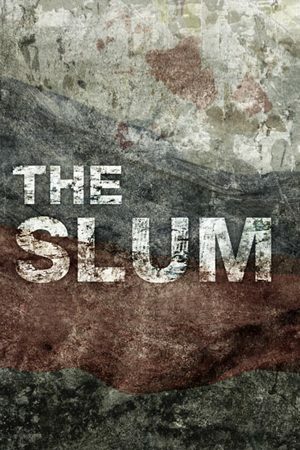 Some experts believe that in only fifty years from now one in every three people will live in a slum. Every city has one. They are the eye sore of modern civilization. Slums lack in basic sanitation and medical facilities and many times they are the dumping ground for the city’s rubbish. In the slums in northern Manila, Philippines every single day is a struggle for survival. Most of the families that live there are staunch Catholics as were many generations before them. Apart from the obvious poverty and lack, crime rates are also high. This could be a byproduct of unemployment mixed with desperation. Some families have lived in these slums for generations and their only hope of leaving is when they die. This can only be indication that they have reached the point of powerlessness in the acceptance of this life as their inevitable fate. This slum is also one of the most densely populated areas on earth. There seems to be a certain mentality that accompanies life in the slum. People become so used to chaos and disorder that they easily allow it to permeate all their environments. People wade through the garbage to get to their living quarters where there’s also likely to be a small mess. It’s not unusual for families of ten or twelve members to live in cramped one-room spaces where nothing seems to fit. There are a few residents who posses an entrepreneurial spirit and some try to provide for their families by opening small businesses or offering their services to the community. Others work as scavengers and make their living by going through the dump or diving into the bay in search for items that can be resold for a few pesos. They are searching for items such as tires, cans, bottles, nets or minerals. Some people have been doing this for decades. This earns them about $4.50 US per day. It’s not a lot, but it’s a lifeline for them and it allows them to buy food for one more day. The Philippines has one of the highest birth rates in South-East Asia. This is probably due to the fact that the Catholic Church teaches that couples should avoid artificial birth control and have as many children as possible. Without questioning their own beliefs, some couples deliberately choose not to have too many children because more mouths to feed means more worries about money. The people who live in the slums have a hard life that one can only understand if one were to experience it. Listen to their stories in this six-part series. Journeyman Pictures presents, “A Shining Light,” a short film of only 11 minutes following Illac Diaz who began a project called “Liter of Light.” The film takes place in the slums of Manila, Philippines in August of 2012. This film is a documentary about Guatemala’s struggle to repair itself and its people following a 36-year civil war. Guatemala is a small country located on the Northern end of Central America. This film documents five turbulent years in the lives of the women who are at the grass roots of the garment workers struggle in Bangladesh.